Gemstones grading labs uses standardrise methods and techniques to analyse the quality of gemstone.Labs provide detail report describing gems quality parameters like color, clarity, cut, carat weight and some other useful information. There are 5 major well reputed labs across the world. 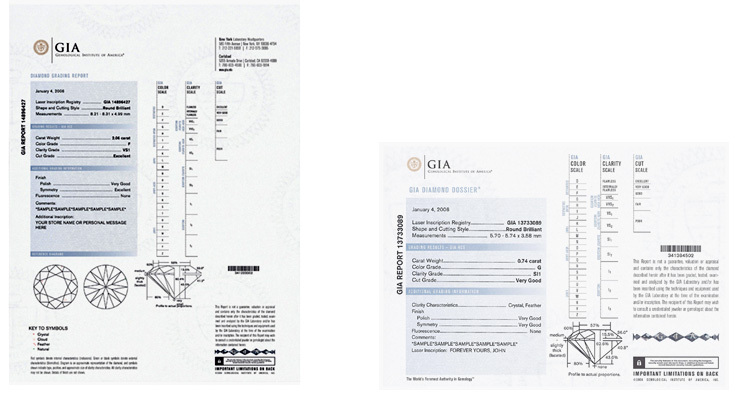 GIA (Gemological Institute of America) The Gemological institute of America was established in 1931. It has been dedicated to ensuring the public trust in gems and jewellery by upholding the highest standards of integrity, Academics, science and professionalism. Many of the worlds finest diamonds have been graded by the GIA such as the Hope Diamond and the DeBeers Millennium Star. It is also the creator of the 4 C's of diamond value now adopted internationally. For more information certified diamonds from this laboratory please see the website for the Gemmological Institute of America. IGI (International Gemmological Institute) This is one of the world's largest independent institutes handling a large majority of the worlds certified diamonds. It is renowned for its quality services, extensive experience and know how. It was founded in 1975 and along with its sister laboratories, is one of the leading gemmological institutes worldwide. IGI issues more than reports on certified diamonds each year. 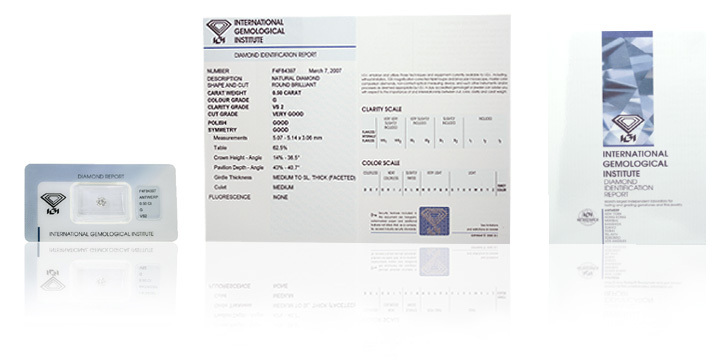 For more information on certified diamonds from this laboratory please visit the IGI website. AGS (American Gemological Society)The American Gem Society was established in 1934 by a select group of independent jewellers and Robert M Shipley, founder of the prestigious school of gemology, the GIA. It has been dedicated to setting the highest possible standards of business ethics and professionalism in the jewellery industry. This laboratory is regarded as one of the most reputable in the entire world. HRD (Hoge Raad voor Diamant)Established in 1973 as the ';Hoge Raad voor Diamat' or 'Diamond High Council,' the organisation has become the major employer of the Antwerp diamond sector. The HRD acts as spokesperson of the sector towards authorities and third parties and offers a wide range of services including the issue of certified diamond reports for loose polished diamonds from the HRD Certificates Department. For more information on certified diamonds please visit them at theire website. 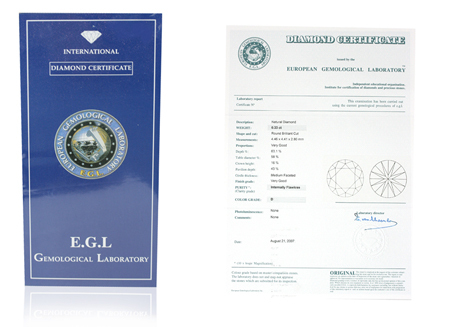 EGL (European Gemological Laboratory) Established in 1973 in Antwerp, EGL now has laboratories worldwide and is an internationally recognised gemmological laboratory providing comprehensive diamond grading reports for the certified diamonds. For more information on certified diamonds from this laboratory you can visit their website. I am looking for Blue Sapphire 5-6 Carate. I would like to know weather http://www.heerejawharat.com sales stones with International Standard Certificates? I would also like to know the re-sale options.